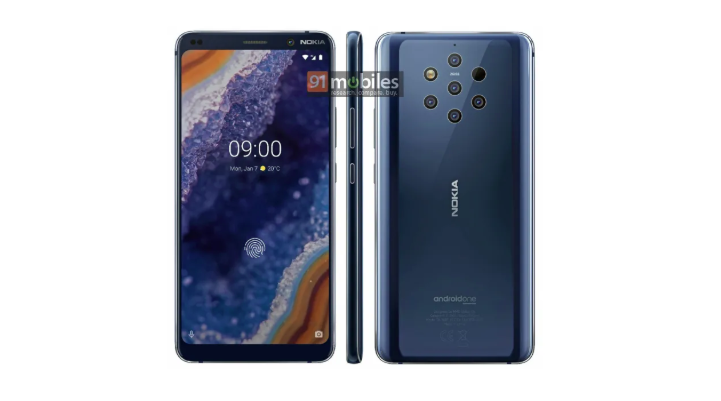 HMD Global’s upcoming flagship, the Nokia 9 PureView has been delayed several many times that now when it’s finally ready for a release, it will face fierce competition from competing devices with more powerful chipsets. That being said, there is one thing that will make the phone stand out, and it will be a first in the industry; its Penta-lens camera setup. 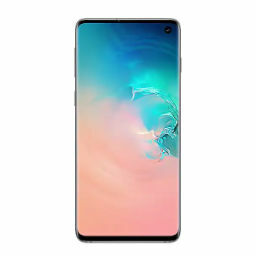 Now that we are apparently a couple of weeks away from the official unveiling of the phone, a press renders of the upcoming flagship has been leaked and it is in line with previous reports. The supposed leaked render shows five camera sensors accompanied by an LED flash and an autofocus module. The camera system is reportedly backed by ZEISS optics and most likely consists of a high megapixel primary sensor, a wide-angle camera, a monochrome sensor, a telephoto camera, and a depth of field sensor. The Android One branding can also be seen on the back which means the handset will be running the stock version of Android 9 Pie and will continue to receive software updates for two years at least. The leaked renders also show that the Nokia 9 PureView sports thicker bezels compared to its impending competition like the Galaxy S10 lineup. As per the leaked press image, the phone has a single selfie shooter on the front, and the presence of a thumb impression on the home screen signals the existence of an in-display fingerprint reader. Previous rumors had alleged that the phone would feature a 12MP front camera. The picture also shows the phone to feature curved edges, and all the physical buttons can be seen on the right-hand side. The phone will most likely not have a 3.5mm earphone jack and will feature a USB Type-C port for charging, data transfer, and listening to media. Previous specifications reports have stated that the Nokia 9 PureView will have a 4150mAh battery underneath its premium chassis, which is decent considering the competition. Sadly, while you’ll potentially be getting the best of what the smartphone industry has to offer in the camera department, the Nokia 9 PureView will most likely be fueled by the previous-generation Snapdragon 845 chipset, and it will be flanked by 6GB of RAM and 128GB of internal memory. The phone is tipped to come with a 5.99-inch AMOLED display with an aspect ratio of 18:9. 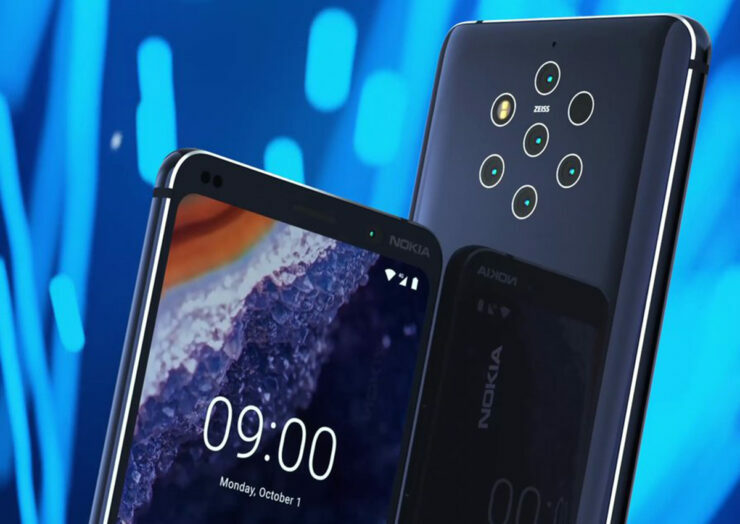 HMD Global is expected to reveal the Nokia 9 PureView during the upcoming MWC, and it is tipped to cost upwards of $800. It remains to be seen if the use of multiple lenses would be enough to compensate for the fact that the phone uses last year’s processor. It is also worth mentioning that a couple of phones in the market, particularly Google’s Pixel devices, are known for churning out great photos without depending on a multi-lens camera setup so the Penta-lens setup of the Nokia 9 PureView wouldn’t necessarily make it the best phone for clicking pictures.